4 Days Maasai Mara Kenya wildebeest migration. BOA 03: 4 days wildebeest migration maasai mara safari 2019. Experiencing the Great Migration with Back Of Africa Adventure adds another layer to witnessing this Natural Wonder of the World. A Safari with our Maasai Guides is a life-changing experience that will provide you with a deeper, more meaningful understanding of the intricate details of the Maasai Mara ecosystem. No one knows the Mara like the Maasai: they are the true specialists. We also have multilingual speaking driver guides that will ensure you get to know more about flora and fauna. 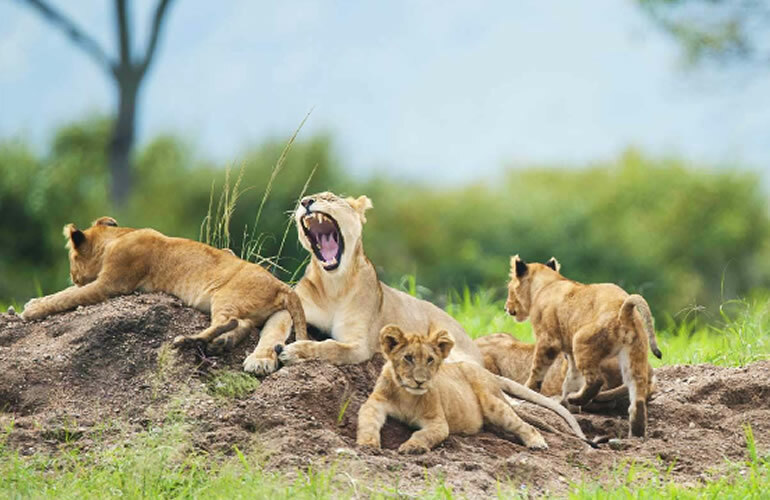 Depart Nairobi in the morning as early as 07:00 hrs and drive along the floor of the Rift Valley to Masai Mara arriving at the camp in good time for an early hot lunch which is served in buffet style. Take an afternoon rest after lunch in our comfortable self-contained tents as you wait for the sun to cool down for the game viewing which starts at 3:00 pm till sunset or until closing time of the maasai mara park gate. This will then mark your introduction game viewing in this park well known for flora and fauna. The rest of the evening will end at the camp where dinner will be served in good time. You are free to recharge your phone and cameras at no extra cost. • Accommodation: Masai mara budget camp or Mara sidai camp or similar. 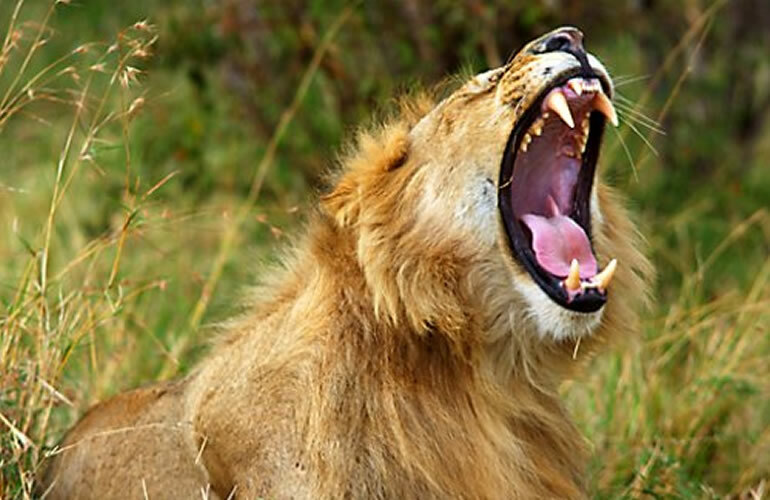 Two full day set aside today for game viewing in Kenya's finest wildlife park, the Masai Mara National Reserve. Our morning and afternoon (full day) game drives take us in search of Africa's Big Five and the plethora of other wildlife inhabiting this vast Kenyan game reserve. On clear days, the Mara offers fantastic orange-tinged sunsets that make for spectacular photos. Much game are coming at your door step when you in the park leaving you with only option of counting your blessings that nature holds for you as you view them in their natural habitat. The Mara Reserve covers 1510km² of incredible wide-open landscapes and fertile riverine woodlands, following the looping meanders of the Mara and Talek rivers in southwest Kenya. One glimpse is enough to explain its appeal; it is typical open savannah, with a mass of amazing wildlife. Wherever you go in the vast Masai Mara Park you will see a frequent amount of wildlife such as Masai giraffe, baboons, warthogs, bat eared foxes, grey jackals, spotted hyena, topis, impala, hartebeests, wildebeest. Elephants, buffalos, zebras and hippos are also found in great numbers. It is also common to see lions either basking after a heavy meal, or surveying the plains for their next meal. Cheetahs and leopards are harder to spot, but reasonably common. The ultimate action here is without a doubt the annual wildebeest exodus, the Great Migration, in July, August when millions of these grazers move north from the Serengeti in search of lusher grass before turning south again in October for the new life circle to begin after a life threatening move across the strong jaws of East Africa crocodile found within the mara river and talek river. 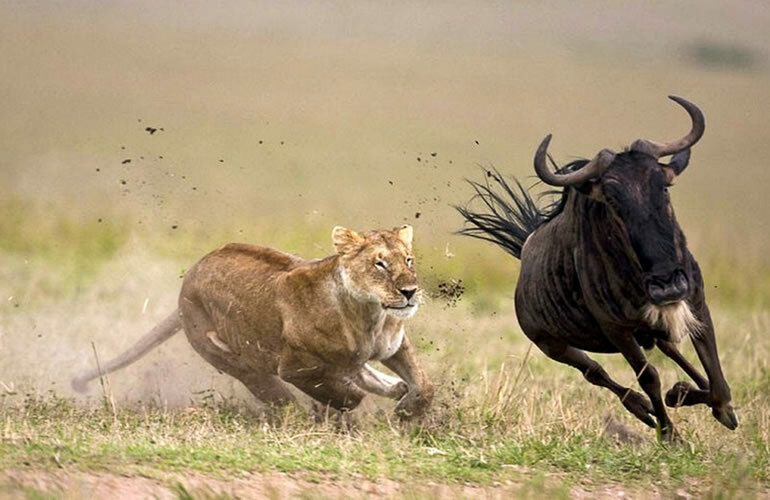 The month of your travel (October) known as wildebeest migration time though you will see lots of wildlife in their Natural settings / Habitats as maasai mara has been voted one of the best park with good percentage of wildlife all the year round. 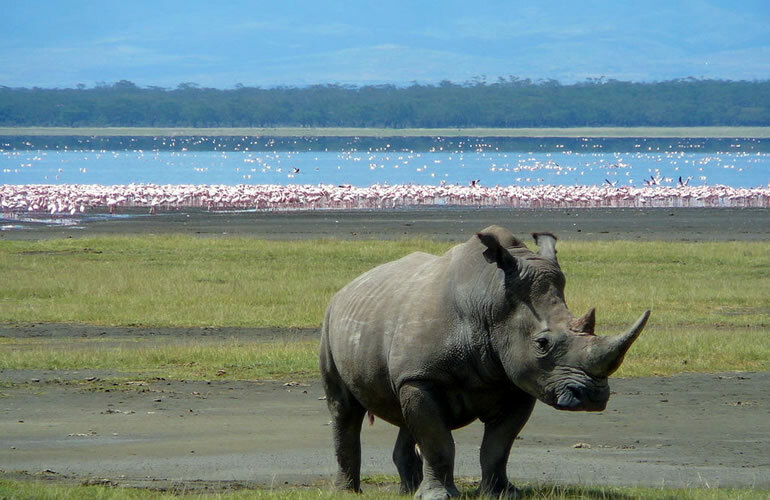 As a tour guide I then recommend 2 full days in this reserve as from mid-June until the end of October as it is amazing. We overnight at the same camp in a natural setting in Masai Mara on both nights. Rates outlined here in are private trip. we can also upgrade accommodations to facilities like Loyk Mara camp, sarova mara game lodge , mara serena lodge. Please let us know your preferred choice of accommodation when making reservations.